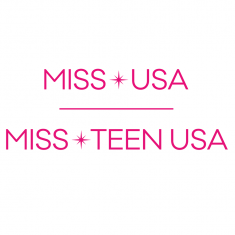 The Miss USA & Teen USA pageant is part of the Miss Universe Organization (MUO), which is owned by IMG and uses its global grassroots reach to empower women, encourage them to be self-confident and continue to strive to be the best they personally can be. 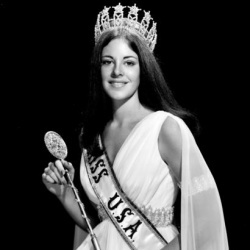 Delegates who become part of the Miss Universe Organization, like Miss USA & Teen USA, are savvy, goal-oriented and aware of what’s going on in the world around them. These women display such characteristics in their everyday lives as individuals competing with hopes of advancing their professional goals, personal goals and humanitarian goals, and also as women seeking to improve the lives of those around them. 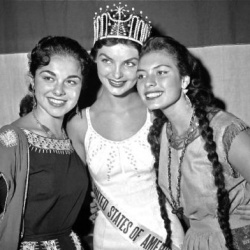 The Miss USA & Teen USA pageant started as a local swimwear competition that was started by Catalina Swimwear in Long Beach, California in 1952. 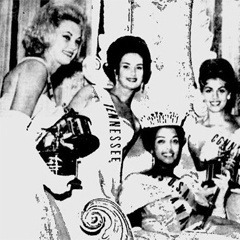 Over the years, the competition continued growing and evolving into what we now know to be the modern day Miss Universe pageant, run by the Miss Universe Organization (MUO). 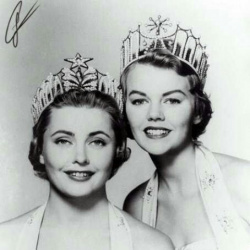 Since its inception in 1952, titleholders and many women across the country have continued to help the pageant grow into the nationally renowned Miss USA system it is now. 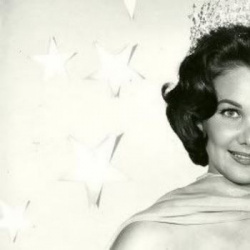 Past owners of the Miss USA pageant include the subsidiary of Gulf + Western Industries, ITT Corporation, and billionaire and U.S. President Donald Trump. 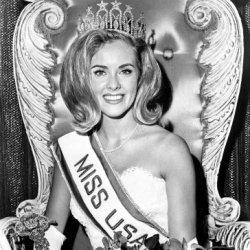 Miss USA & Teen USA traditionally fulfills her reign while living in New York City, along with her Miss Universe sister. 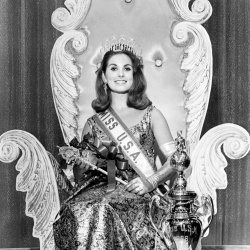 Miss USA also competes at the Miss Universe pageant, and since its creation, Miss USA titleholders have gone on to be the next Miss Universe eight times. 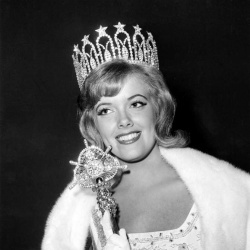 In the 1960s, a rule was established by the Miss Universe Organization that should the current Miss USA become the next Miss Universe, the first runner-up will step up as Miss USA for the remainder of the year. The Miss Universe Organization firmly believes that every woman should be “Confidently Beautiful,” and provide international platforms through partnerships with many worldwide charities, brands, and sponsors. 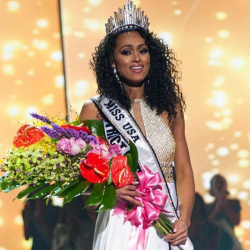 During her reign, Miss USA primarily works to raise awareness for breast and ovarian cancer, whether through advocacy efforts, or encouraging women to get mammograms, Miss USA is very dedicated to helping women across the country fight cancer. 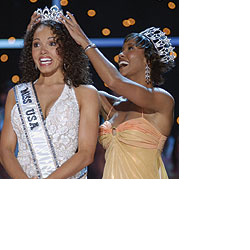 Additionally, Miss USA works closely with the Best Buddies Organization and USO throughout her reign. 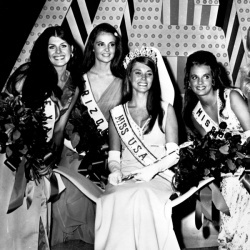 The Miss USA & Teen USA pageant consists of four judged areas of competition: interview, swimsuit (fitness wear for Miss Teen USA), onstage interview and evening gown. 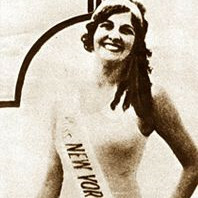 At the beginning of both the preliminary and final competitions, there is also an unscored introduction portion, where each contestant introduces herself by name, age and hometown/state. 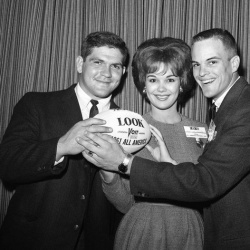 After preliminary competition, semifinalists are chosen and announced during the live broadcast of the finals competition on FOX. Semifinalists compete in swimsuit and evening gown again during the final competition, at which point finalists are selected. 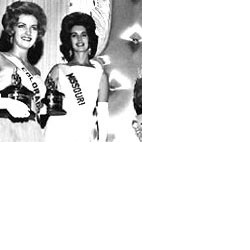 Finalists then proceed to the “final question,” or onstage interview, portion of competition. 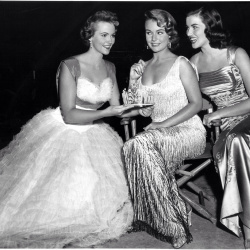 At the end of the live finals show, the runners-up and new titleholder are announced. Typically, there are two panels of judges, one for the preliminary competition and one for the finals competition. 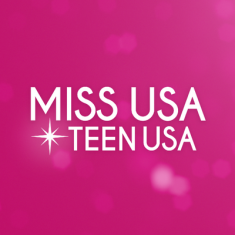 Miss USA contestants must be between the ages of 18 and 27 before January 1st of the year the national pageant takes place and Miss Teen USA contesants must be between the ages of 14 and 18 before January 1st of the year the national pageant takes place. 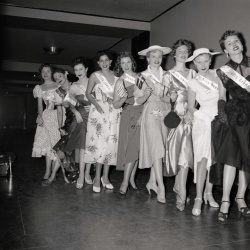 All contestants in the Miss Teen USA, Miss USA and Miss Universe pageants must not be married, or ever have been married, or have had a marriage annulled. Contestants must also have never given to a child, can’t be pregnant or be a parent. Contestants must also be in good health and be of good moral character, in addition to meeting residency requirements. 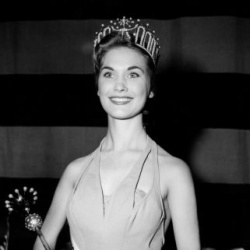 There are 16 states that have never won Miss USA. Is your state on the list?